When I invented the Ring Video Doorbell in 2011, I didn’t think I was creating something groundbreaking; I just needed a way to see people who came to my front door from my garage. But after my wife told me that it made her feel safer, I realized that my life hack had the potential to make others feel safer in their homes too. 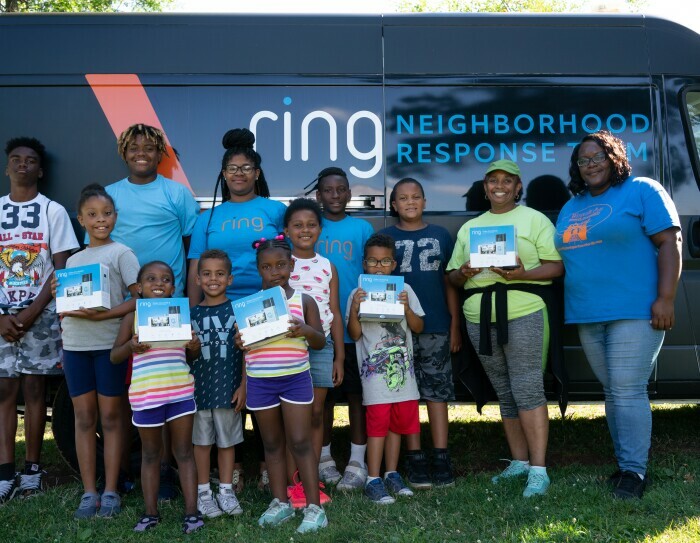 Fast forward seven years, and we’re working with cities all across America to make their neighborhoods safer and deliver proof that Ring reduces crime. In 2015, we partnered with the Los Angeles Police Department on a pilot project to install Ring Video Doorbells in one neighborhood saw a 55% decrease in home break-ins after Ring devices were installed on just 10% of homes in the neighborhood. This year, we decided to take our efforts to Newark, New Jersey. Like all major cities, the residents of Newark, New Jersey have to deal with crime in their neighborhoods. 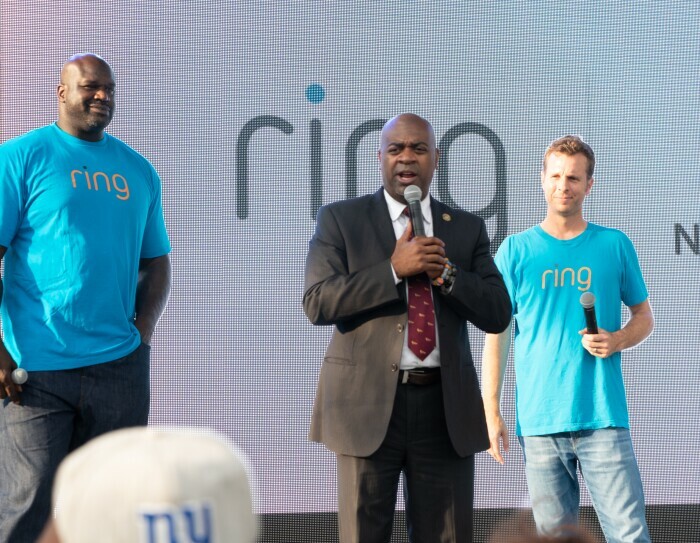 So this summer, together with Newark native Shaquille O’Neal, we decided to bring Ring’s crime fighting power to New Jersey’s largest city. 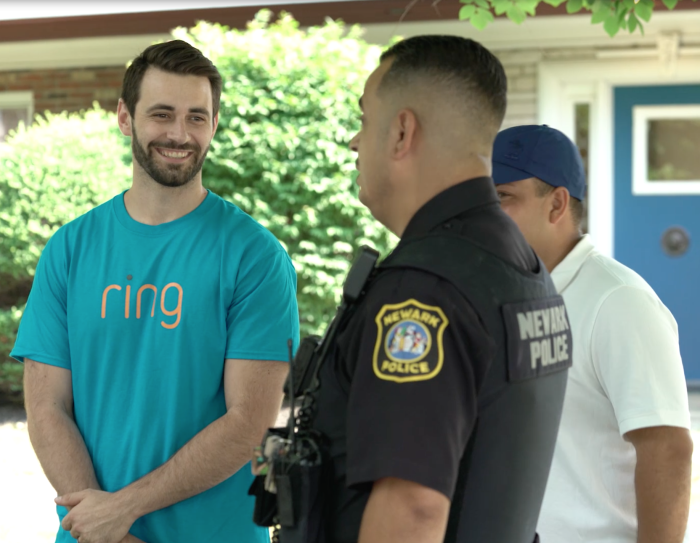 This pilot is a collaboration with the City of Newark and Newark’s Department of Public Safety (DPS), and Ring donated more than 500 devices to homeowners to install at their homes in two neighborhoods – Weequahic and Forest Hill. These two neighborhoods were chosen because their residents are very engaged in combating neighborhood crime, and we believed our devices would be a valuable tool to help them in their fight. Early results showed that Ring devices are having a positive impact. After neighbors installed Ring Video Doorbells and Ring Spotlight Cams on 11% of homes in the neighborhoods, home burglaries were reduced by more than 50% from May through July 2018 when compared to the same time period in 2017. I can say that the entire Ring team was thrilled. Newark, New Jersey resident Joy Robinson walks with Jamie Siminoff. Shaquille O’Neal, Mayor Ras Baraka, and Jamie Siminoff speak with residents of Newark, New Jersey. Children from the Weequahic Park Sports Authority Sports summer camp. What’s next? We’ll continue to work with neighbors and officials in Newark to help in their fight against crime, and we look forward to partnering with even more communities and cities. Our mission is to reduce crime in neighborhoods, and that means all neighborhoods all across the country.